Start the month off at the official Chicago Dance Month Kick Off Celebration at the Chicago Cultural Center. 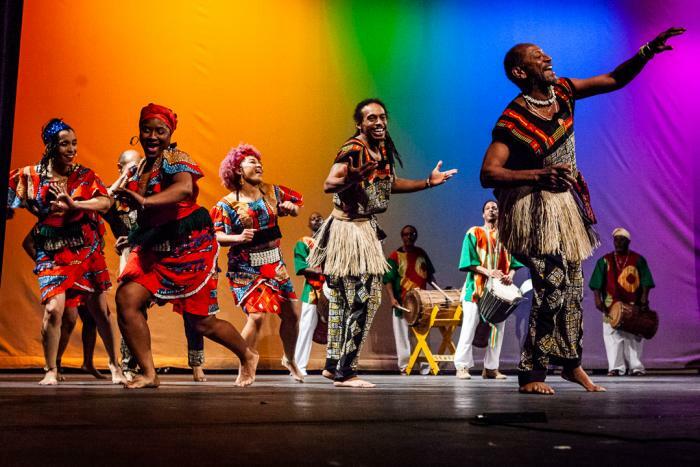 Enjoy a free showcase of seven different dance troupes including Vershawn Sander Ward of Red Clay Dance, Cerqua Rivera Dance Theatre, Dancing Petals, Duncan Dance Chicago, Joel Hall Dancers, and South Chicago Dance Theatre. Learn the dramatic choreography of Brazilian Samba during this interactive workshop at Old Town School. Dill Costa will teach samba footwork, body placement, and rhythmic movement to students with previous dance experience. 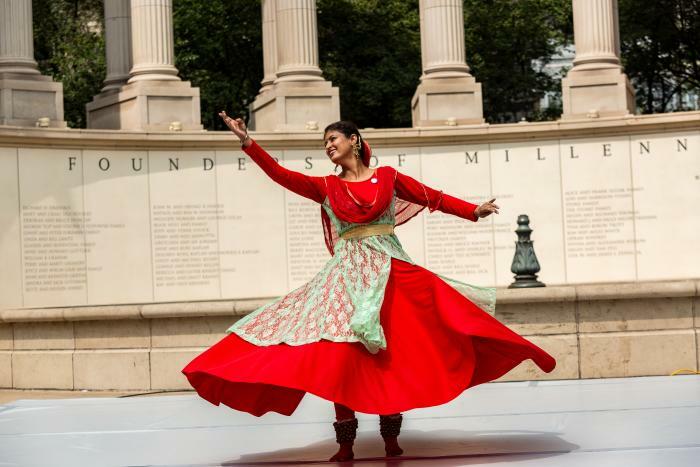 This thrilling series celebrates rhythmic dance companies representing an assortment of cultures, including African, Indian, Mexican, and Irish. The featured companies will perform free, weekly shows at a variety of venues across Chicago neighborhoods, including Garfield Park Conservatory, Beverly Arts Center, National Museum of Mexican Art, DuSable Museum of African American History, and more. What does it take to create a living dance archive? This fascinating discussion between leaders of the Chicago Dance History Project and Joel Hall Dancers & Center will explore their joint efforts to curate and digitize Joel Hall Dancers Legacy Archive. Learn about their creative process and see some of the archive’s artifacts. Dance, theater, and visual arts come together for the Chicago premiere of Alexei Ratmanky’s whimsical Whipped Cream. The tale of a boy who enjoys too many sweets topped with whipped cream at a candy shop, comes to life as marzipan archers, gingerbread men, and sugar plums transform into their own sweet world. With a rarely heard 1924 score by Richard Strauss, Whipped Cream is a must-see performance by the American Ballet Theatre at the Auditorium Theater. Head to the scenic Chicago Riverwalk to hunt for free dance performances that progress along the waterfront. The event will feature performances by Culture Shock Chicago, Ballet 5:8, J. Lindsay Brown Dance, Winifred Haun & Dancers, Movement Revolution Dance Crew, Mordine & Company, and Praize Productions to wrap up Chicago Dance Month.